Hisonic UHF Quad Wireless System provides you with proven performance and durability in a variety of settings, from churches to nightclubs to gymnasiums, from concert halls to broadcast booths and stadiums. 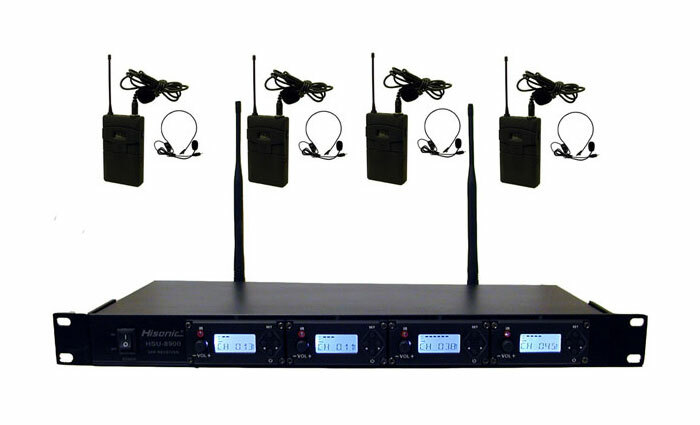 Each HSU8900 Series UHF wireless microphone system includes one receiver and four body-pack transmitters, each of which has 100 selectable channels so it's much easier to avoid any unpleasant interference from other sources and for easy system expansion as well. 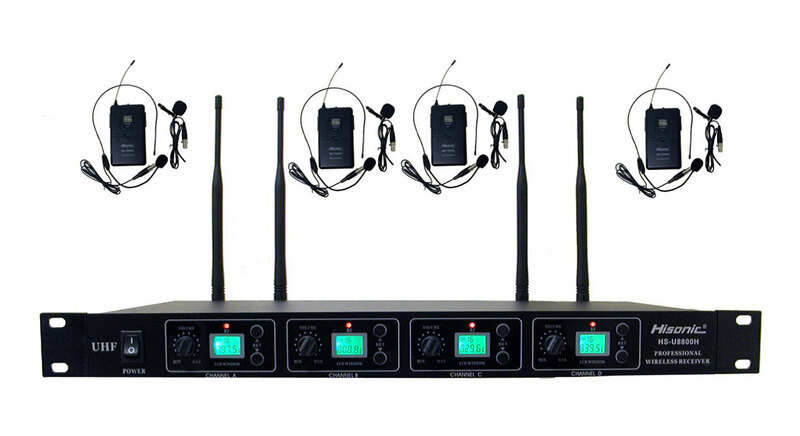 There are 4 headset microphones and 4 lapel microphones included, you can use any combination of 4 microphones at one time. This system has a total of 5 outputs, one of which is a mixed standard 1/4" outputs, the other 4 are individual balanced XLR outputs. Dimensions 16 1/2" X 8' X 1 3/4"